Roger Wilco's Virtual Broomcloset: The Two Guys from Andromeda are Back! 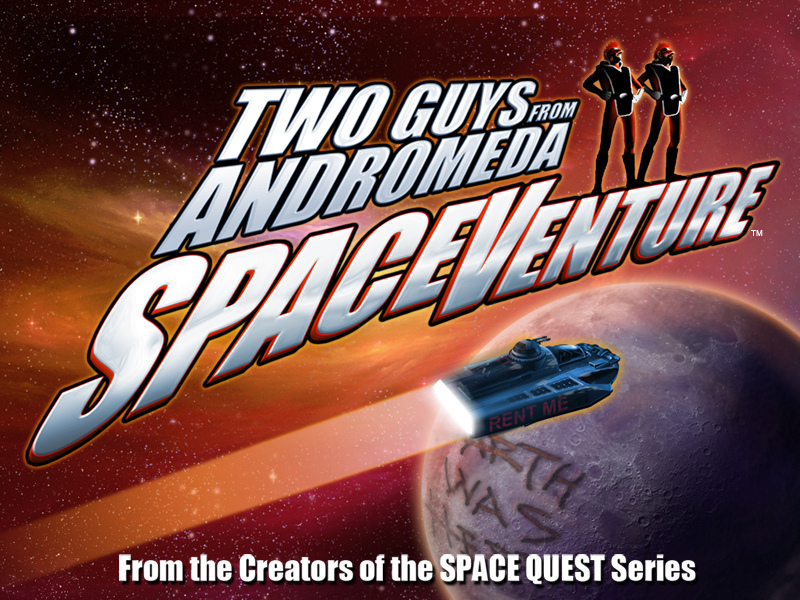 The Two Guys from Andromeda, legendary creators of the Space Quest series, are backand they're saving the universe with a brand-new SpaceVenture! How can mere Earthlings like us lend a hand? First, visit the Two Guys' website for more information about the upcoming SpaceVenture, and then kick in a few buckazoids at the project's Kickstarter page (while earning some nifty rewards in the process). Meanwhile, to stay up-to-date on all the latest SpaceVenture news, like the Two Guys on Facebook, follow them on Twitter, and subscribe to their YouTube channel. Want to discuss the SpaceVenture with fellow Space Quest fans? Visit SpaceQuest.net's message forum, The Janitorial Times! It's time to clean up adventure gaming, and the Two Guys need your help!